The man who has helped build casinos from Oklahoma to West Virginia to western New York is now trying his luck in what is arguably the most lucrative gambling market outside of Las Vegas: New York City. "We supply entertainment that people demand," Christian Goode told NBC 4 New York in a recent exclusive I-Team interview as he strode through the Resorts World Casino, a recently renovated property in Ozone Park, Queens. The casino already houses about 5,000 computerized slot machines known as video lottery terminals. Goode is the senior vice president of Genting, a Malaysian casino firm that bought a $380 million license to operate those video lottery terminals. Since then, Genting has invested another several hundred million dollars, renovating the building and preparing it for something much bigger: a possible amendment to the New York state constitution that would legalize table games like blackjack and poker. "What we envision is building a world class resort," Goode said. "We've talked about and are working through plans to build the largest convention center in the U.S."
In January, Governor Cuomo announced an informal agreement with Genting and his support of the grand casino plan in his state of the state address. 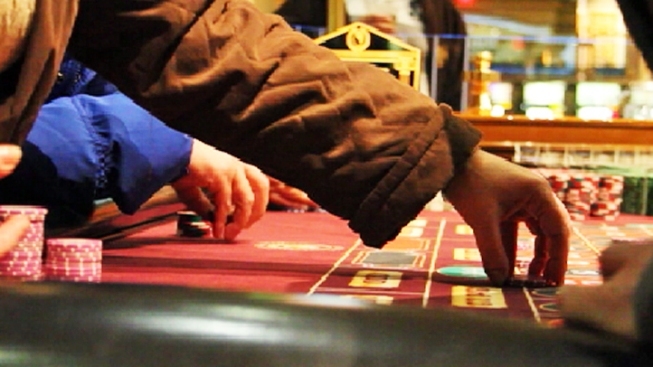 For table games to become legal, the state legislature must approve a constitutional amendment this year and then the voters must approve the amendment in a referendum next year. Goode insists Genting could build a convention center even if table games are voted down, but if they are legalized, he envisions a more rapid expansion driven partly by a steady influx of foreign visitors. The casino's proximity to John F. Kennedy International Airport, he says, would make it an ideal place to attract air travelers. Goode has also talked up a dedicated rail link to Manhattan. If Goode sounds confident, he has good reason to be. Genting has hired one of the most imposing lobbying and public relations teams in New York history. They include a former top aide to Assembly Speaker Sheldon Silver, a former attorney for Senate Majority Leader Dean Skelos, Mayor Bloomberg's former campaign manager, and a long-time adviser to Cuomo. "What this company has done is hire lobbyists who are close to every single powerful decision-maker who might be involved in the ultimate decision," said Susan Lerner, executive director of Common Cause NY, a nonprofit watchdog for money in politics. Since 2010, the Malaysian casino company has spent $1.6 million on six lobbying contracts. One of the contracts, with a firm called Cordo & Company, LLC, was the fourth-biggest lobbying deal in the state, topping the Trial Lawyers Association and just behind a contract inked by the Bankers Association of NY. The furious spending on lobbyists has drawn criticism from those who say Genting is trying to buy a change in the state constitution. Goode says his firm is just doing what any smart company would in such a highly regulated industry. "We're not trying to buy a change," he said. "We're somewhat the new kids on the block. We want to make sure we're properly represented as, frankly, any company in the U.S. does." So far, Genting's lobbying efforts appear to be paying dividends. It is hard to find elected leaders who oppose the plan. "I believe Genting is a pioneer in many ways," said Erich Ulrich, a Republican city councilman who represents Ozone Park. "Genting has answered every one of the concerns of my residents," said Democrat State Sen. Joseph Addabbo, who also represents Ozone Park. Campaign finance records show Yonkers Mayor Mike Spano, who is also a former state assemblyman, has taken $5,750 in campaign cash from Genting and one of its lobbyists. At one point, Spano's brother, Nick, was hired to lobby on behalf of the casino company. Mayor Spano insists Genting has not influenced his support for a table gaming amendment. "Because I support casino gaming," he said. "As a matter of fact, that was always a proposal of mine. Something I supported and touted, that we should have full-blown casinos, at least at the raceway sites." From political offices to the corners of Queens, Genting is also spending money to influence voters directly. At nearly every meeting of Community Board 10, a Genting public relations representative stands up to speak. During a recent meeting, he was touting the $135 million in revenue those video lottery terminals have provided for the state's education fund. "They meet with us, they talk to us. They answer our concerns," said Community Board 10 President Betty Braton. Despite the promise of additional tax revenue for schools, past efforts to legalize table games have been vigorously opposed by religious groups and neighbors worried about organized crime. Genting is also mounting a television and radio campaign to beat back those critics. Lerner, of Common Cause, fears the heavy spending could overwhelm smaller voices in the gambling debate. "What chance does an ordinary resident of Ozone Park have to raise $100- or $200 million to be on a par with the advertising that Genting is going to flood New York airwaves with if there's a constitutional amendment to permit gambling in our state?" she said.